October 2009 - These photographs of albatross chicks were made just a few weeks ago on Midway Atoll, a tiny stretch of sand and coral near the middle of the North Pacific. The nesting babies are fed bellies-full of plastic by their parents, who soar out over the vast polluted ocean collecting what looks to them like food to bring back to their young. On this diet of human trash, every year tens of thousands of albatross chicks die on Midway from starvation, toxicity, and choking. 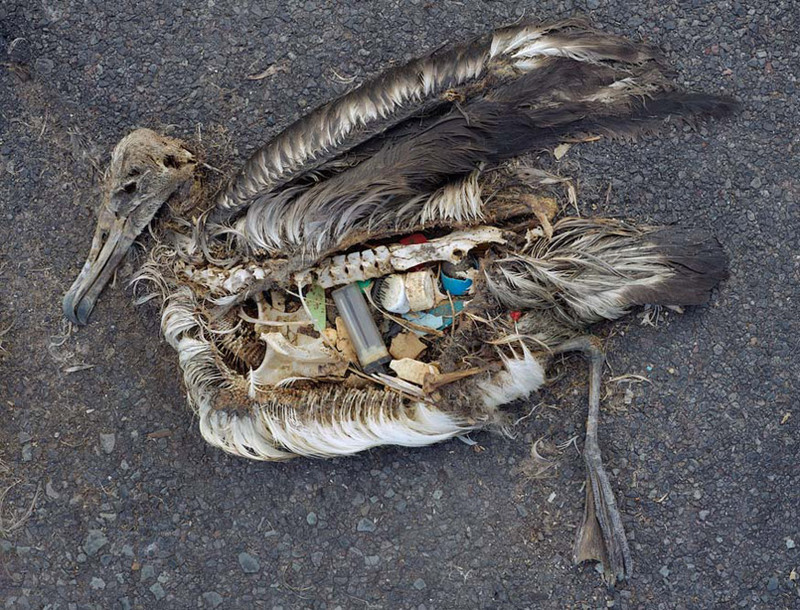 Midway Atoll, in common with all the Hawaiian Islands, receives substantial amounts of debris from the Great Pacific Garbage Patch. Consisting of ninety percent plastic, this debris accumulates on the beaches of Midway. This garbage represents a hazard to the bird population of the island. Of the 1.5 million Laysan Albatrosses which inhabit Midway, nearly all are found to have plastic in their digestive system. 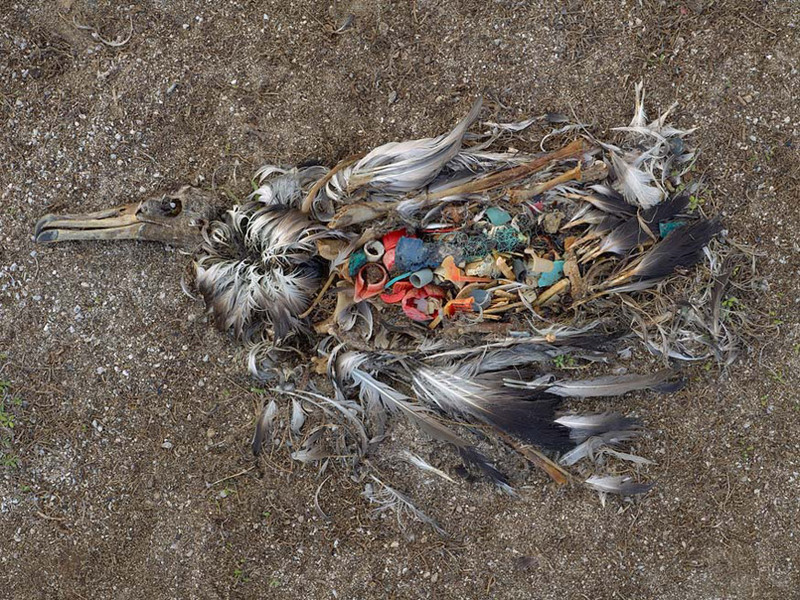 Approximately one-third of the chicks die from ingestion of this plastic. “navire”, carnets web | © 2009 laurent gloaguen.